This government was formed especially to conduct election. But it is doing everything else but work for election. Looks like KRR and his team wish to continue for ever, without a parliament and with weakened judiciary. Plan to change industrial enterprises act by promulgating an ordinance is an example. This govt. should not be doing anything with long term impact. The proposed ordinance is going to include a provision allowing Nepali citizens to invest abroad which will aggravate the capital flight problem which is already getting out of hand. 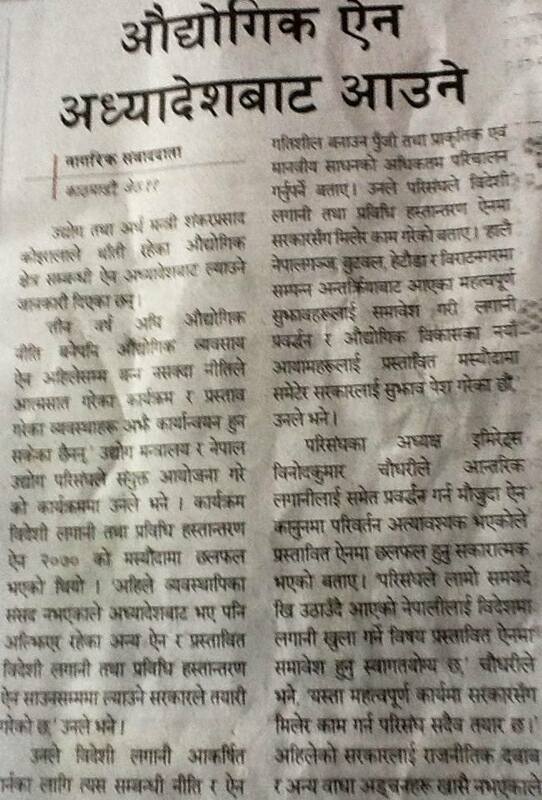 Nepal has already problem of scarcity of capital and fleeing of capital from unofficial channel. 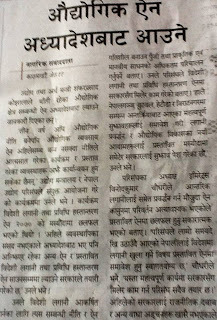 If the government allows to invest abroad it will lead to total bankruptcy of Nepal. Therefore, I wish, present government just focus on only objective of conducting election. The blunder can cost Nepal far more than the currency crisis faced by ASEAN countries during 1990s.